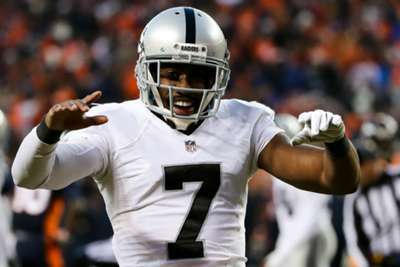 Marquette King was not satisfied with simply getting his revenge on Jon Gruden on the field on Sunday. The Denver Broncos punter took to Twitter following their 20-19 win over the Raiders and took a shot at Oakland coach Jon Gruden, who cut King this offseason. King trolled Gruden in a video that featured a Chucky doll with money stuffed into its mouth. Gruden was nicknamed "Chucky" during his first stint as Raiders coach and signed a reported 10-year, $100million deal to return in January. Oakland released King on March 30 but he quickly signed a three-year deal reportedly worth $7m with Denver on April 5. The Broncos will get a chance to complete a season sweep of the Raiders when they visit Oakland on Christmas Eve.